Air them out. Remove the insoles and allow the shoes to dry in the fresh, open air. Often, odor develops from the glue and other materials used to make running shoes. To counter these disgusting smells, air the shoes out and/or use baking soda underneath the insoles. Just sprinkle a little baking soda underneath the removable insoles. Sometimes the odor you smell is a direct result of running without socks. Plenty of runners don’t like to wear socks, but what happens is their feet sweat directly into the insoles of their shoes. Once that moisture builds up, the shoes can develop an odor. Often, the smelliest part of the shoe is the insoles (or sockliner). If they are very smelly and airing them out doesn’t seem to help, buy an over-the-counter replacement pair. 2. My shoes get soaked all the time, either running in the rain or during the summer when my feet sweat so much. I don’t have anyplace convenient to air them out. Can I just place them in the clothes dryer? Definitely not. Drying your running shoes in the clothes dryer is not advisable. Running shoes won’t survive well in such fast, hot drying conditions. The midsoles and outsoles are held together by glue which will be compromised by the heat of the dryer. The heat will also weaken the upper and cause it to crack and weaken. If you can’t dry them outside in direct sunlight for an hour or so, dry your shoes out in front of a fan. Sorry, not a good idea either. The detergents used in washing machines are harmful to the glue in your shoes. The best way to clean your shoes is to use a soft-bristled brush (a toothbrush is fine) and wash away the dirt with a mild soap and water. Remove the insoles first. Then, allow the shoes to completely dry. Not really. Shoes don’t need a “rest” day like you do. Shoes are made of glue, foam and synthetic materials. The midsole foam definitely gets compressed during a run, but it “bounces” back to its normal self in about the same time it took to compress. That is, if you go for a two-hour run, the shoes should have recovered completely in about two hours. Waiting longer certainly doesn’t hurt, but it doesn’t help much either. The only caveat is if you are doing two workouts in a single day, don’t wear the same pair of running shoes. 5. My running shoes are very comfortable. Can I also wear them for basketball, soccer, volleyball and tennis? Sure you can. You’ll harm the shoes, but you can wear running shoes for just about anything. Not only will wearing your Mizuno running shoes for basketball or any other court sports, trash your shoes, you’ll mark up the basketball and tennis courts with the black outsoles of your running shoes. Running shoes are designed for straight ahead motion, not lateral sports. To play basketball or tennis, you need side-to-side support which running shoes don’t provide. For a sport which entails plenty of jumping such as volleyball, a shoe specific to volleyball is the best way to go. We get this question all the time and the best answer we can provide is you’ll get plenty of miles in your Mizuno running shoes. Mizuno running shoes are renowned for durability. A good ballpark figure for the miles you can expect is between 300 and 500 miles. But each Mizuno running model is different with different materials and construction. Some shoes are more durable than others because of the materials. Also, runners are constructed differently and some are harder on shoes than other runners. Bigger runners will get fewer miles out of the same shoe than a small runner will. But 500 miles is about the max for most runners. 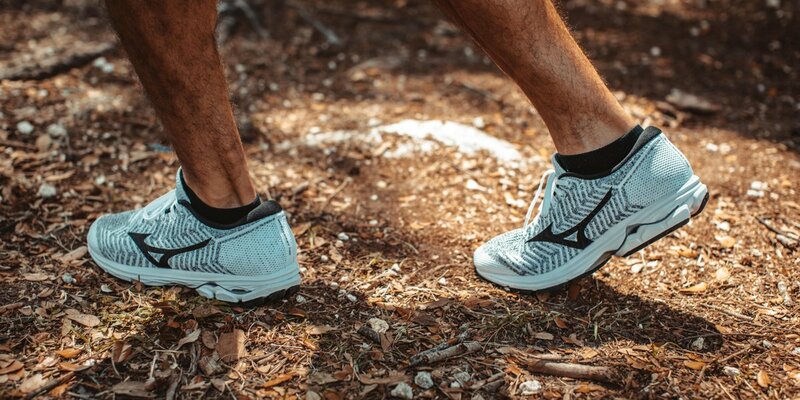 True, some runners get many more miles, but eventually the midsole foam lose the ability to cushion and you will no longer get the protection you need to run safely. How can you tell? If a shoe’s upper is twisted and the midsole appears to be crushed and brittle, it may be time to get a new pair. There are also other subtle warning signs such as an unusual ache or pain after an easy run. Often, it’s your body saying, “Go the store and get a new pair of shoes!” Better to buy a new shoe a bit early than too late. 7. Is it worth it to get my running shoes resoled? Probably not. The resoling will just the extend the life of the outsole. But a resole job can’t extend the life of the midsole which is where almost all the cushioning takes place. Once that midsole is worn out (which usually occurs before the outsole wears out), the shoe is shot. 8. What can I do to extend the life of my running shoes? 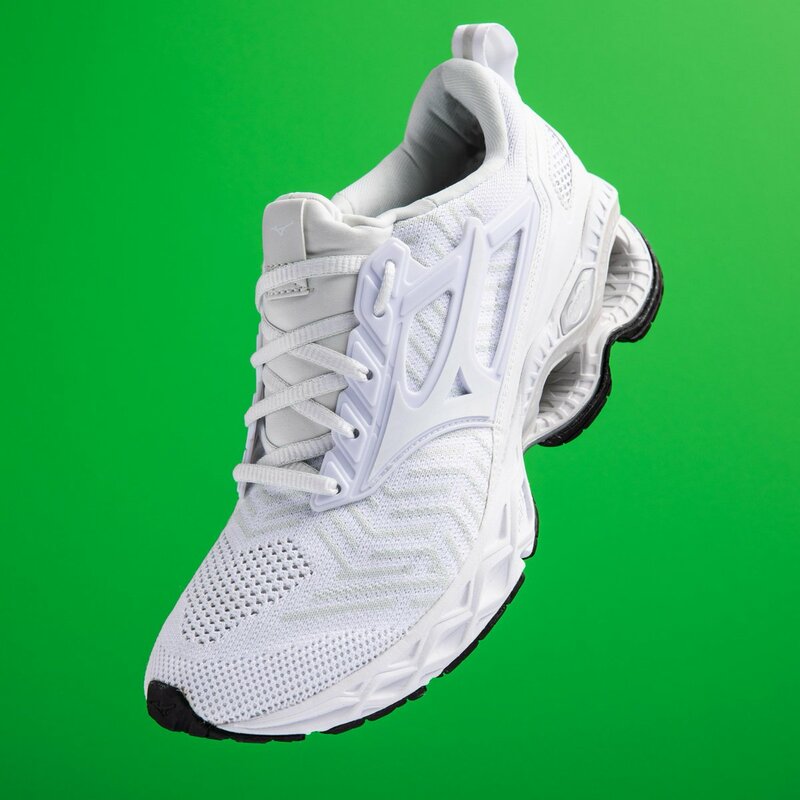 Use running shoes only for running and they’ll last longer and provide you with at least 350-450 miles (if not more) of supportive, comfortable running.